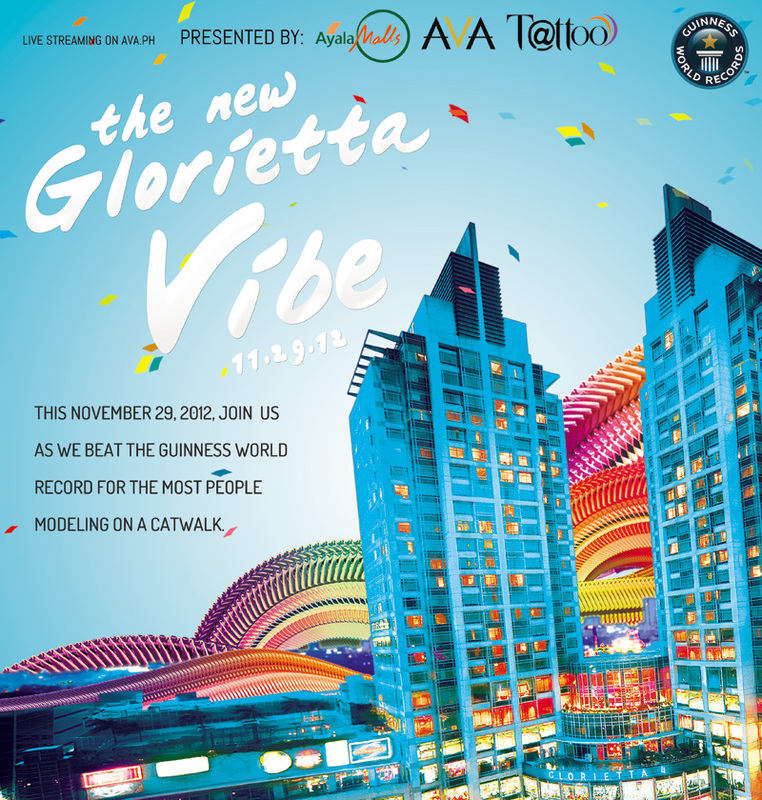 To celebrate the launch of the New Glorietta, AVA and Globe Tattoo are aiming to break the record for the most models modelling on a runway (Current record is held by Istanbul with 1967 models) and each model will instantly be included in the Guiness Book of Workd Records! Amazing right, just thethought of being part of fashion history is already in itself overwhelming. Luckily they decided to allow 10 bloggers to walk with 10 of their readers by holding a contest. That would make it so much more fun for me, not to mention easier if I'm able to share the experience with you. The show will be held on Nov.29, that's exactly a day before my birthday so I was hoping you could vote for me as an early birthday present. It would really, really make it a lot easier on me if I get to share the runway with 10 of you. I'm sure it's gonna be a hoot! Hopefully you'll be chosen. Good luck po.